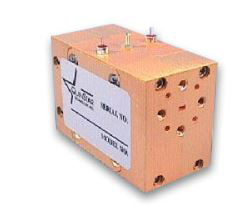 QuinStar Technology - RFMW UK, Ltd.
Quinstar Technology Design and Manufacture of RF, Microwave and Millimeter-Wave Front End solutions for Communications, Sensor, Scientific, and Test Applications. 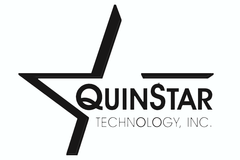 QuinStar Technology, Inc. is a millimeter-wave technology company. AS9100:2009 Rev C / ISO 9001:2008 certifiedFounded in March 1993 by seasoned managers from major aerospace companies, QuinStar is dedicated to the development, manufacture and marketing of millimetre wave products serving established as well as emerging markets and system applications in the commercial, scientific and defence arenas. Customers span the world and program experience includes Defence research and development, high reliability space flight, and volume production of products fielded in leading edge broadband wireless communication networks. 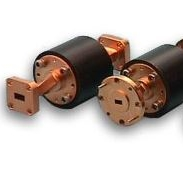 QuinStar products range from standard catalogue components to specialised high-performance RF signal generating, amplifying and conditioning components to fully integrated and customized assemblies and subsystems for digital and analogue sensor, communications and test applications. QuinStar primary goals are to deliver quality products a n d services to customers while maintaining a pleasant work environment for our employees. We are committing our full resources, experiences and talents to achieving these simple yet most important goals. QuinStar Technology, Inc. specialises in producing a broad range of fully integrated and customised millimeter-wave assemblies and subsystems meeting customer-specific application requirements for digital and analogue Sensor, Communications and Test applications. 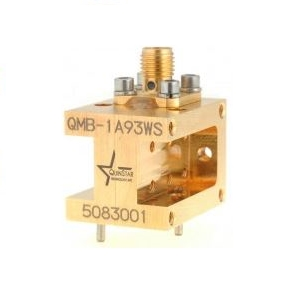 QuinStar has designed, produced and delivered dozens of different millimeter-wave assemblies and subsystems ranging from Miniature Transceivers and Broadband Receivers to Antenna Subsystems and Communication Front Ends. QuinStar in-house oscillator, amplifier and frequency multiplier product design and manufacturing resources greatly enhance our capability to offer State-of-the-Art solutions for Rapid Prototyping and Proof of Concept Demonstration all the way through Production. The level of integration, circuit complexity, packaging and testing provided by QuinStar are all determined by the customers’ precise needs, budget limitations and environmental constraints. 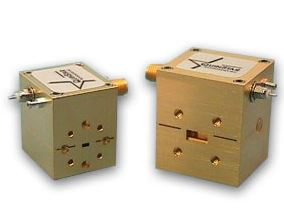 In addition, customers are often able to select from a vast variety of existing generic millimeter-wave assemblies and subsystems that are fully developed and readily producible. This results in significant cost savings, quick delivery and avoidance of developmental risks.